Have you ever found yourself driving through the night during a blizzard or a bad rain storm? If you have then you know how hard it can be to see. The Street Scene 5" Round driving lights are going to enhance visibility during these harsh weather conditions, keeping you moving down the road safely. 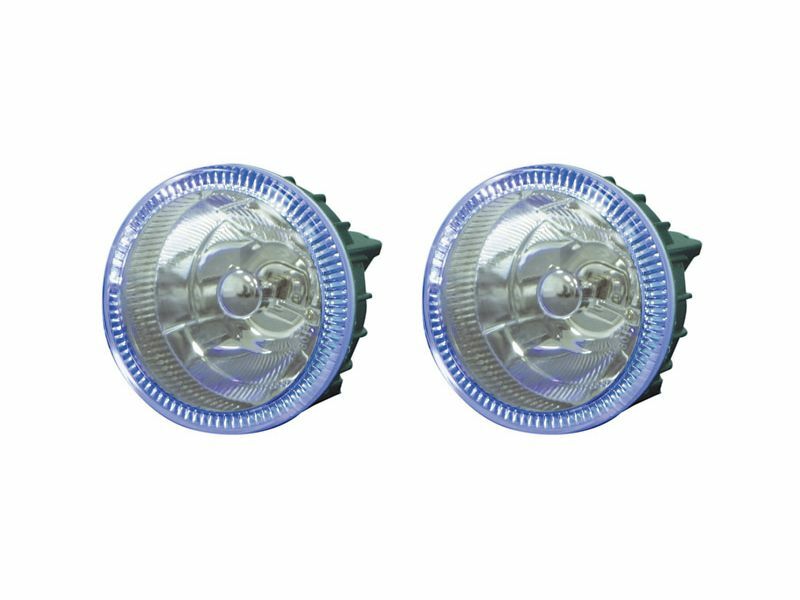 The bright 55w round driving lights work perfectly for driving through desolate and deserted areas, keeping hazards such as deer and other moving objects in sight. The round design, gives these driving lights a unique, new age look. Heavy duty plastic housing encases the bright lights, protecting them in harsh weather conditions as well as some of the harshest weather conditions. You will receive 2 55w lights, the durable plastic housing, wiring harness, relay, and cab switch. These lights are cased in a strong glass and are designed to be long lasting. So if you are looking for a bright light to enhance your visibility, then you have to look no more, these driving lights have everything you want and more. Made by Street Scene. Street Scene is offering a 1 year warranty on the 5" Round driving lights. The Street Scene 5" Round driving light is offering an easy installation with minimal drilling required. For additional information please call us at 1-866-309-1907 or 701-253-5906.